Dr. Adam Friedman is a Board Certified, Licensed Chiropractic Physician in the state of Florida. He is a 2000 graduate of Indiana University where he earned degrees in psychology and sociology. He received his doctorate of chiropractic in 2006 with honors at Palmer College of Chiropractic in Davenport, Iowa. 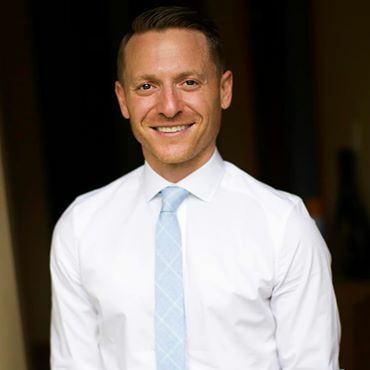 Originally from Chicago, Dr. Friedman began his chiropractic journey in Cleveland, Ohio where he spent over twelve years treating patients of the greater Cleveland area and its surrounding communities. He began treating patients with his older brother at Rockside Chiropractic in Garfield Heights, Ohio and ultimately took a position as the clinical director/lead chiropractor at Advanced Orthopedics and Physical Therapy, a multi-disciplined clinic that included medical care, physical therapy and rehabilitation, aquatic therapy, acupuncture and therapeutic massage care. This is where Dr. Adam became an expert in the handling of Ohio worker’s compensation injuries, traumatic automobile cases and a variety of other health related conditions including a vast array of musculoskeletal disorders. Dr. Friedman was actively involved with his local communities, frequently giving educational talks/lectures on a wide variety of health related topics, including health & wellness, proper food choices, backpack safety, workplace injury avoidance and sports related injuries. Upon relocating to south Florida in April of 2018, Dr. Friedman joined the very talented group of providers at CARE Wellness Center. As part of the team, Dr. Friedman strives to offer state-of-the-art chiropractic care that can address the root cause of a patient’s condition allowing them to function at their absolute best. His patients’ well-being is of paramount importance to him and he will do everything possible to have his patients reach their maximum potential in a warm, caring and friendly environment. Dr. Friedman is a strong believer in practicing what he preaches. He has been under regular chiropractic care since his early days as a high school athlete. He adheres to a very healthy, active lifestyle that includes a diet rich in organic fruits, vegetables, nuts, seeds and lean proteins raised in a humane, pastured type environment. Dr. Friedman believes that you truly “are what you eat.” He is passionate about educating his patients about healthy, organic, non-GMO food choices that ultimately lead to better health and well-being. Lifestyle choices combined with precision chiropractic care are key components, in his opinion, to increasing one’s chances of living a life without pain and chronic disease. Dr. Adam J. Friedman, DC, Chiropractic Physician – serves the residents of Coral Springs, Coconut Creek and Margate, Florida. Please call 954-495-6564 to schedule a free consultation.